One of our partners in south-eastern Nepal, Community Improvement Centre (CIC), is helping to improve the economic situation of marginalized communities who are often victims of bonded labour. After a decade of working with populations vulnerable to exploitation, the organization has become highly effective at providing economic empowerment interventions and promoting gender equality, social inclusion and good governance, as well as facilitating education. As a result of CIC’s programming, families like Shibo’s are being empowered through community groups, new income-generating activities and efforts aimed at putting children at risk of forced labour back in school. CIC is helping current and former victims of bonded labour to achieve financial independence through savings and credit groups, new income-generating activities and putting children at risk of forced labour back in school. They aided Shibo’s family during a time of tragedy. Shibo is a member of the Mushahar community, a marginalised caste. After marrying her husband Arjun, she gave birth to a baby boy. When the baby was nine months old, he contracted pneumonia and became very ill. In order to pay for the child’s treatment, Shibo and Arjun took a loan from a local landlord with an interest rate of 36%. Arjun was forced to work as a ploughman on the landlord’s property to pay off the debt. Sadly, the baby passed away despite the treatment. It was a very painful time for Shibo and Arjun, who had to cope with the loss of their child and still pay off the loan to the landlord. A few years later, Shibo gave birth to three girls. 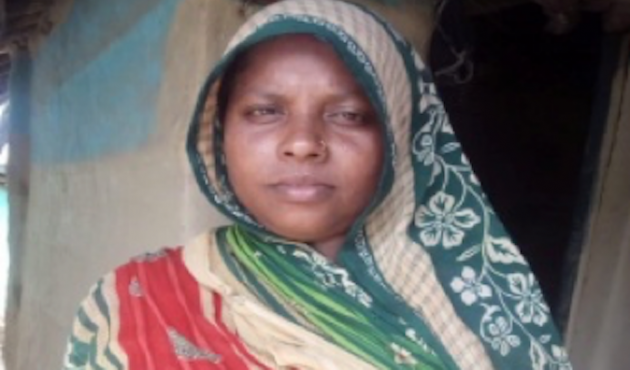 As her family grew, it became increasingly difficult for Shibo to provide for her children. When CIC set up a community group in Shibo’s village, she joined hoping to improve the family’s financial situation. CIC’s group taught Shibo about her rights and organised different training sessions on alternative livelihoods and how to save money. CIC also provided educational support to economically disadvantaged children, and Shibo’s girls benefitted from scholarships, tuition classes and a children’s club. After she joined the community group, Shibo took an interest-free loan from CIC which enabled her to pay off the loan from the landlord. Shibo’s husband, with support from CIC, started a bicycle repair business in the village. With this new business, the Shibo’s family have increased their income and are now in a much stronger and happier position. The Freedom Fund’s south-eastern Nepal hotspot works to end inter-generational bonded labour, helping victims come together for their rights to land, income, education and dignity. Find out more about our south-eastern Nepal hotspot here.